George III Silvergilt Flatware Dessert Service for Twelve. Eley & Fearn, London 1801. 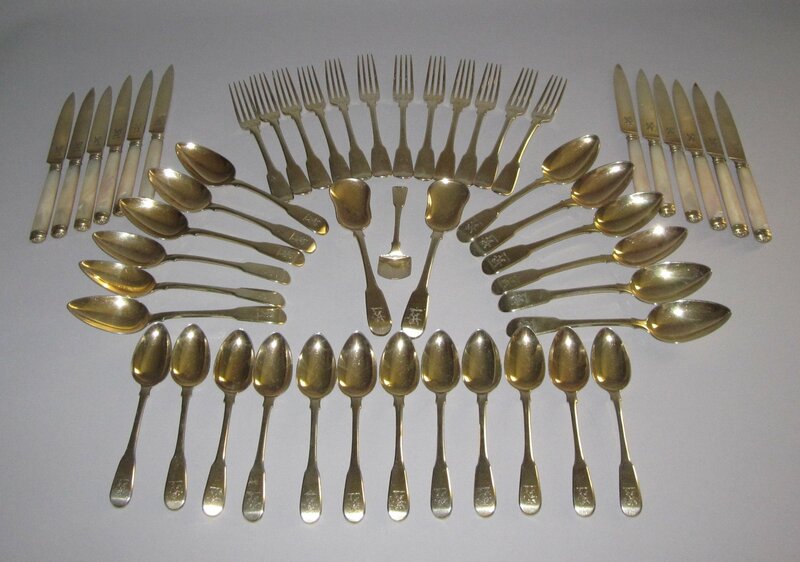 A FINE QUALITY SILVERGILT FLATWARE DESSERT SERVICE. BY WILLIAM ELEY & WILLIAM FEARN. LONDON 1801. 12 Dessert forks, 12 dessert spoons, 12 sorbet spoons, 12 mother of pearl handled dessert knives. A pair of sorbet servers and a cream spade. Engraved rampant lions crest.